What is a Moda Cupcake Mix? 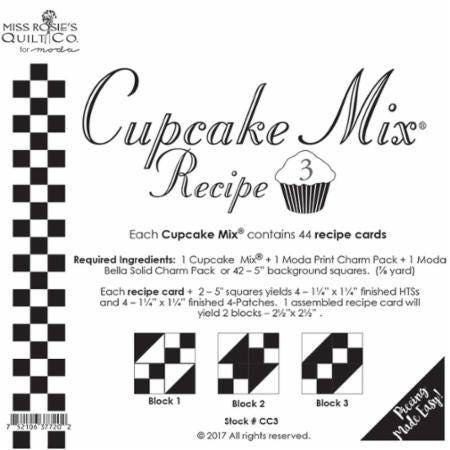 Makes baking a Charm Square Pack Cake quilt easier than ever. This unique triangle paper is designed to work in conjunction with Moda’s 5″ square Charm Packs. Each tablet has 42 sheets – one for each layer in a Charm Pack – and a couple of extras for practice. 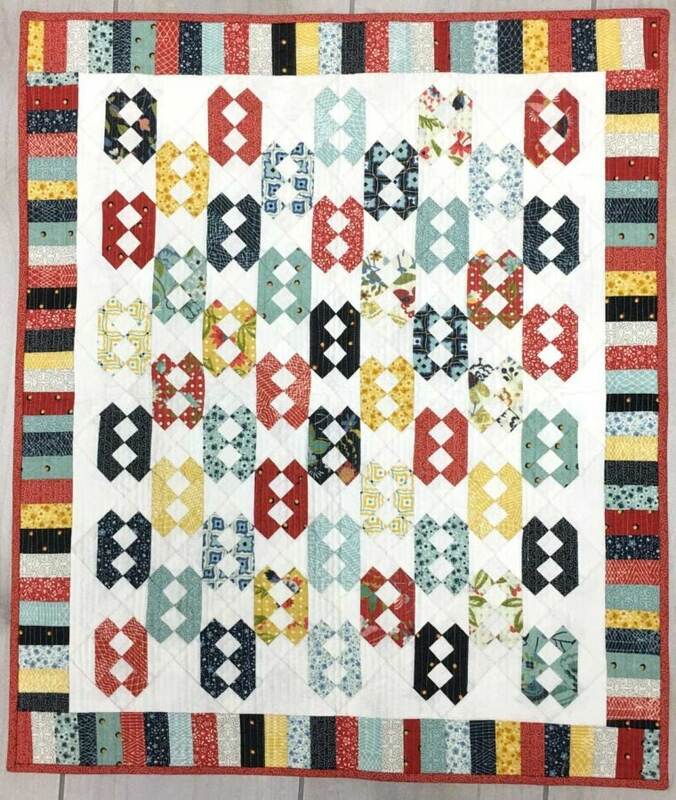 Each pad also includes a few simple block and layout ideas – just add 1 or 2 Moda charm squares and you’re ready to start stitching. There are four different Cupcake Mixes available… check them out to the right and the Free Recipes to use with them below.